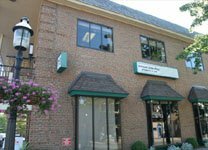 Thank you for visiting the Estate Planning Information Center for Madison, New Jersey, brought to you by Applegate, Quinn & Magee. We are estate planning attorneys based in Madison, NJwhose mission is to provide residents of Madisonand surrounding areas with quality estate planning resources. When you visit or call our office, we want you to feel comfortable discussing such an important issue concerning both you and your family. We want to arm you with the information you need to make an informed decision about your family’s future. Through the use of Living Trusts, Wills (simple & complex), Powers of Attorney, Living Wills, Irrevocable Trusts, Family Limited Partnerships, and Charitable Gifting Strategies, our firm helps families preserve their wealth for future generations, minimize estate taxes, and avoid the expense and nightmare of a disorganized Estate Administration. Our law firm helps clients create a plan to handle their affairs in the event of an incapacity before they pass away. This includes planning to avoid a Guardianship proceeding.